Betch is a 10 minute scripted comedy television series, which kicked off on October 1, 2015, on go90 and is broadcast every at 08:00. The show is currently in its 6th season. go90 is yet to announce the renewal of Betch for Season 7 as well as its cancelation. Sign up to track down the show's status and its release date. 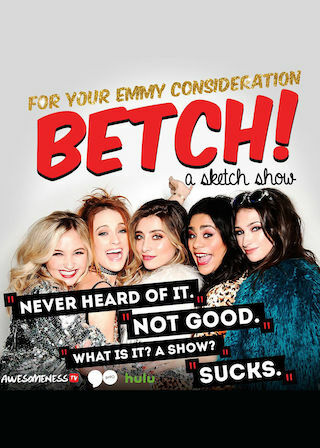 Starring Aubrey Whitby (The Thundermans), Maddy Whitby, Monica Sherer and Lauren Elizabeth, this comedy showcases some betches makin' some sketches with funny girls and famous people. Obviously.